Each of us with our unique skills and talents bring something incredible and wonderful to this world. 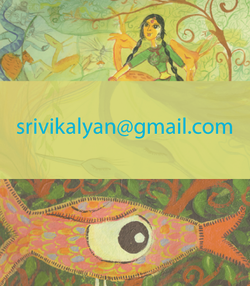 If you find resonance with some of my work and are interested to collaborate, I would love to hear from you. My core interests lie in compassion, identity and consciousness and I would love to explore it through different disciplinary lens or media. And be it environment, gender issues, poverty, or another significant social issue that bothers you, where you think we can make a difference, do get in touch. Let's bring our voices together to expand the limits of what we call human!